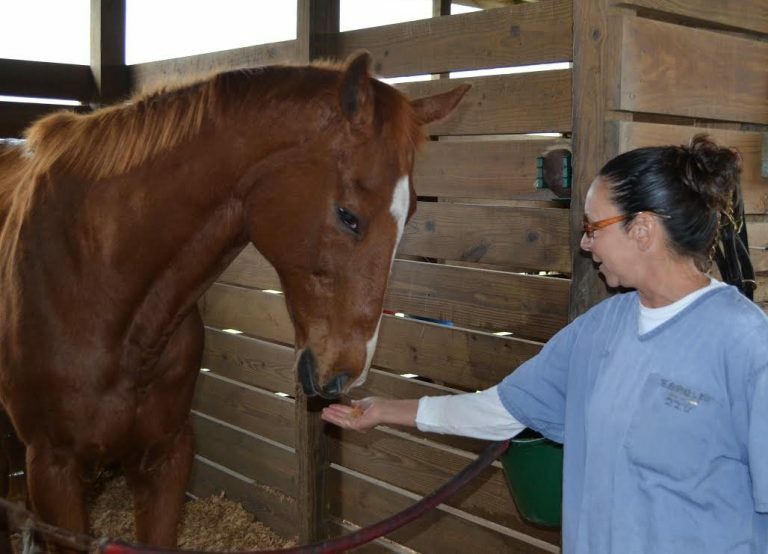 Ocala, FL – A former inmate who had lost almost everything when she was sentenced to four years in a Florida jail found “some peace” in her life and a path to a new career after embracing the surprise opportunity to participate in a prisoner/racehorse program. 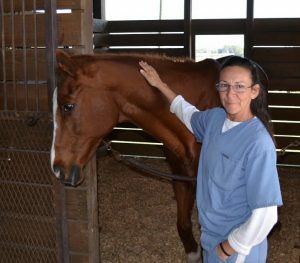 After taking a leap of faith that her prison’s Thoroughbred program could somehow help right her ship that had sailed so off course in life, Kelly Esposito, 51, of Ocala, Fla., graduated the Thoroughbred Retirement Foundation’s Second Chances horsemanship program and landed on solid ground. In January, after she was released from jail, Esposito began work at the Florida Horse Park in Ocala, performing a property maintenance job that has anchored her to good people, and wonderful horses, she says. Starting with three shifts a week, Esposito has taken on increasing responsibilities, including working with tractors and other equipment. The work is good for her soul, she says, noting that she discovered a love for horses and tractor driving when she enrolled in the Thoroughbred Retirement Foundation’s Second Chances Program in 2013. 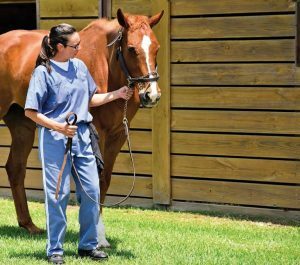 The program, which teaches life skills to inmates, who in turn care for a herd of retired off-track Thoroughbreds, was like a godsend to her, she says. And though the former healthcare worker had no experience with horses—“I was scared to death for the first two weeks because the horses were so huge!”— She was immediately taken under the wing of TRF Farm Manager John Evans. She didn’t know racing stats before she started with the program either. But in the company of the impressive ex-racehorses and Evans, Esposito soon knew the racing highlights as well as the healthcare requirements of the whole herd. Horses, she says, gave her comfort when nothing else could. 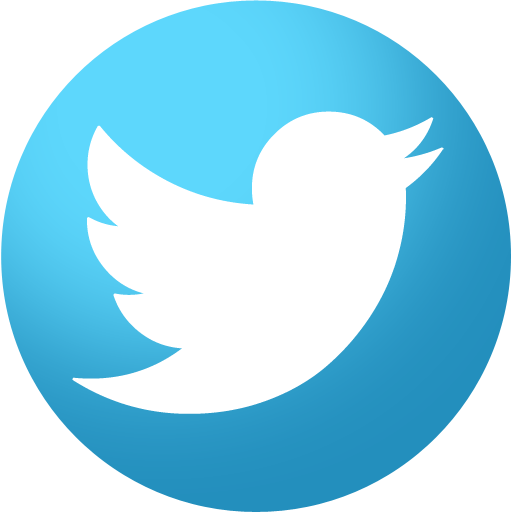 And over the course of two years working among them, she discovered that life, despite her mistakes that led her to prison, would turn out okay. Keeping in frequent contact with Evans, Esposito has been welcomed into a support system of former inmates who’ve been through the Second Chances program. They have each other’s back, and keep each other focused on the horses and on moving past their prison terms, she says.